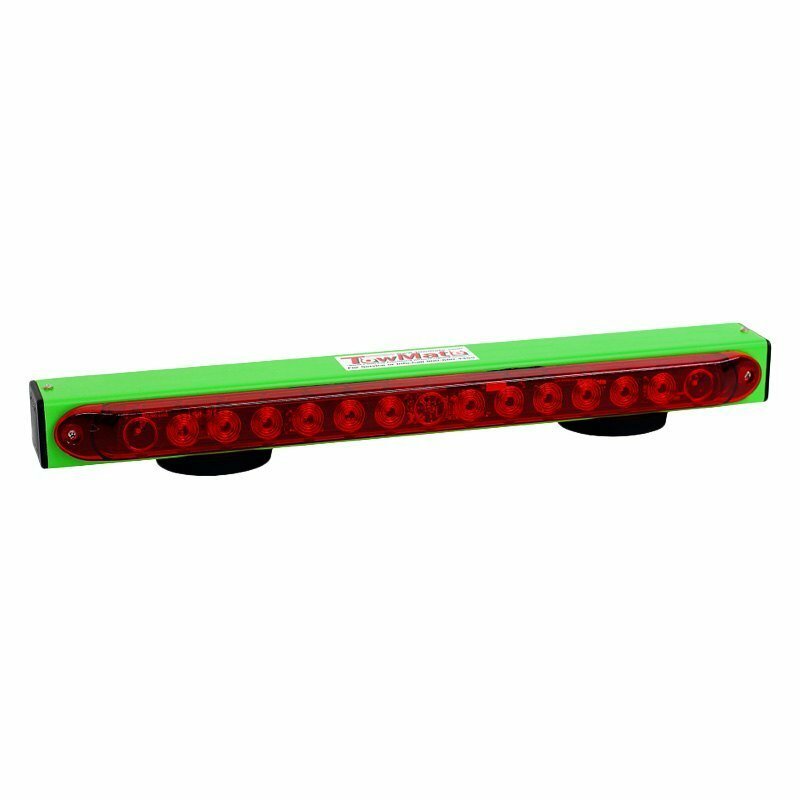 Lime Light" is TowMate’s BEST SELLING wireless tow light measuring in at 22” wide and contains 14 LED’s providing stop, tail, and turn signals wirelessly. This is a basic unit, meaning that it is not compatible with the iMON reminder system. The TM22G has 90LB pull magnets with rubber boots and is non-upgradeable. It carries the same great TowMate lifetime warranty as all our other wireless light bars and is proudly made in the USA. **Twenty dollars from each unit purchased will be donated to the Susan G. Komen foundation for breast cancer research and awareness. Comes standard compatible w/ iMon.